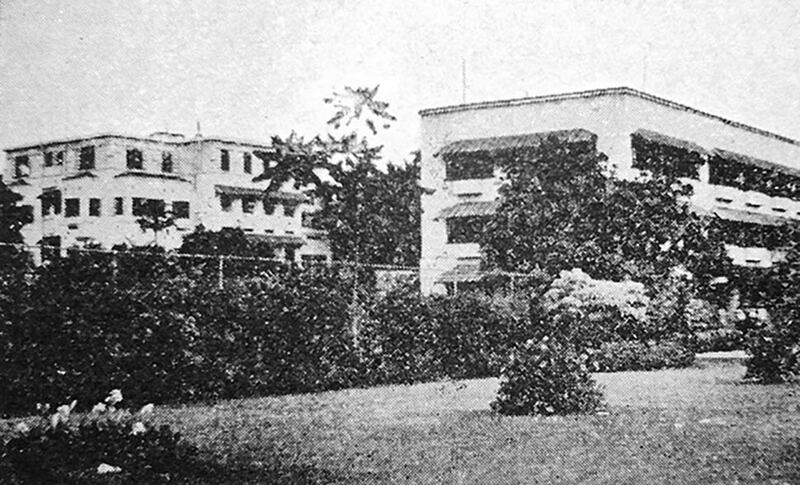 Manila’s many prominent and most affluent families began settling in the neighboring districts of Malate and Ermita during the first decades of the 20th Century. The twin residential districts were strategically located facing the scenic bay, and, early on, were also centers of educational, commercial, and government activities. 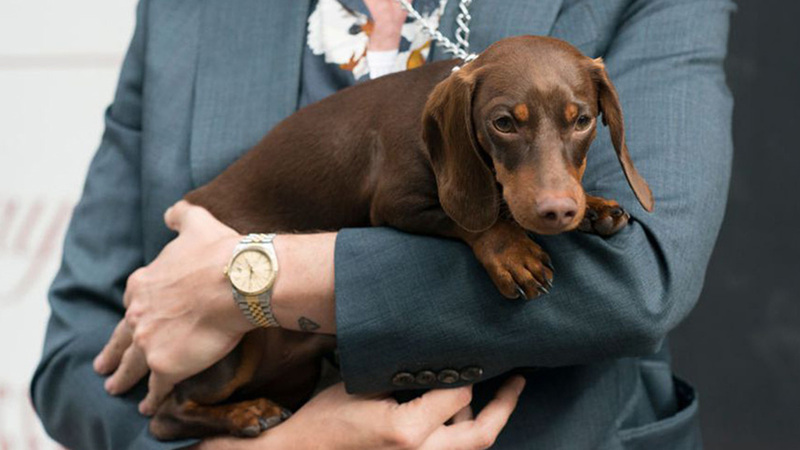 The exclusive “old rich” districts were known for their tree-lined avenues and opulent homes. Malate was derived from the descriptive word “maalat,” as saline water of the bay once reached its areas during high tide. Ermita takes its name from an ancient hermitage “La Hermita,” which housed the 16th Century image of the Our Lady of Guidance. 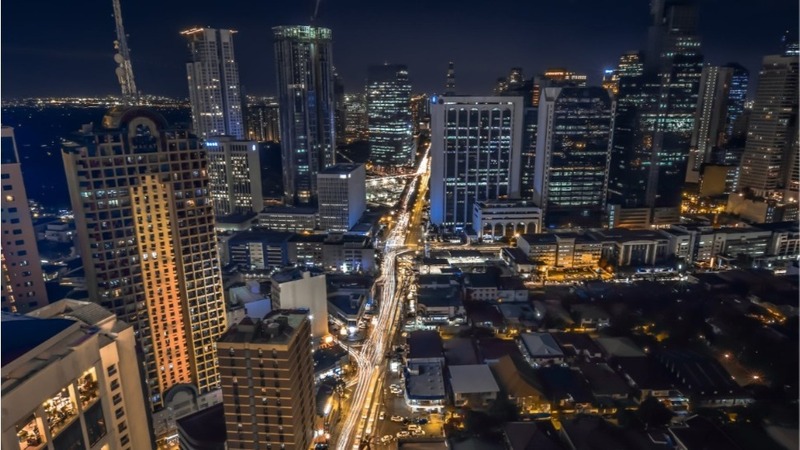 World War II would bring untold devastation to lives and property in the two districts, but Ermita and Malate would rise again to become Manila’s major commercial, entertainment, and tourism enclaves beginning in the ‘70s. 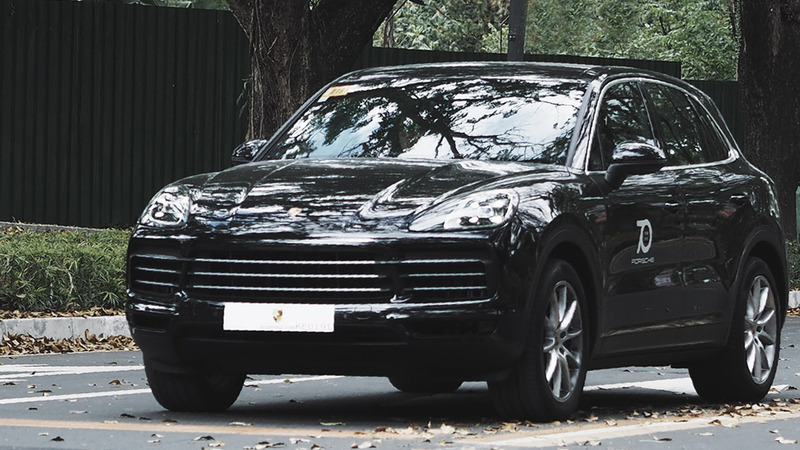 Malate and Ermita were home to many of Manila’s wealthiest and upper-crust families—the Ynchaustis, the Zobels, the Guerreros, the Yangcos, the Perez-Rubios, the Balmoris, and much more. 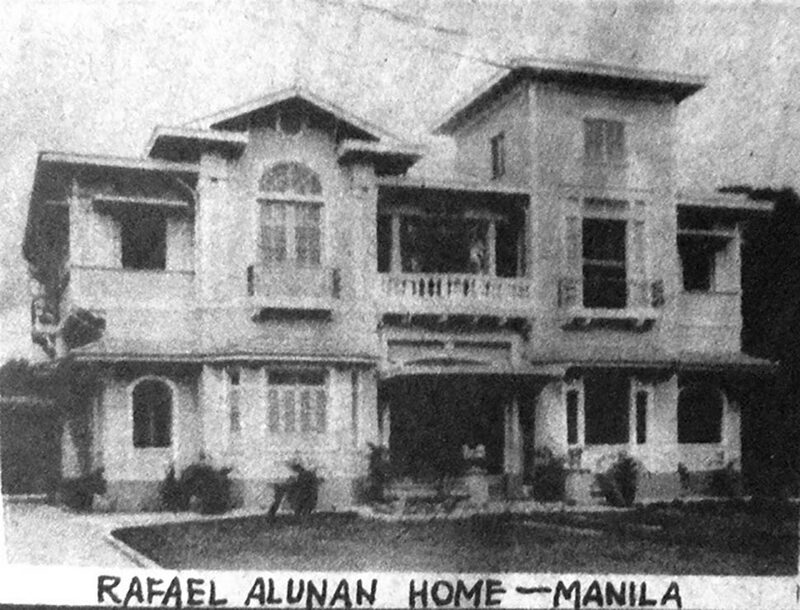 Rafael R. Alunan, assemblyman (from 1912 to 1916) and first secretary of Agriculture of the Commonwealth, was originally from Talisay, Negros Occidental, but he built his Manila home on Cortabitarte Street near Dewey Boulevard. 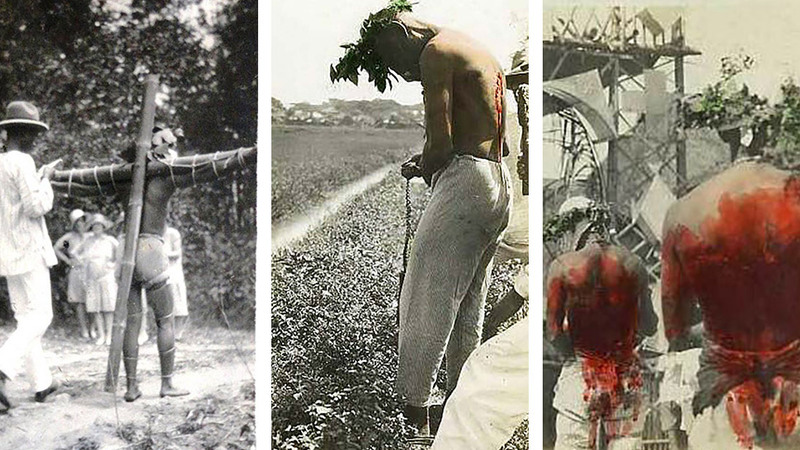 Alunan was also an affluent sugar planter and miller in his home province. 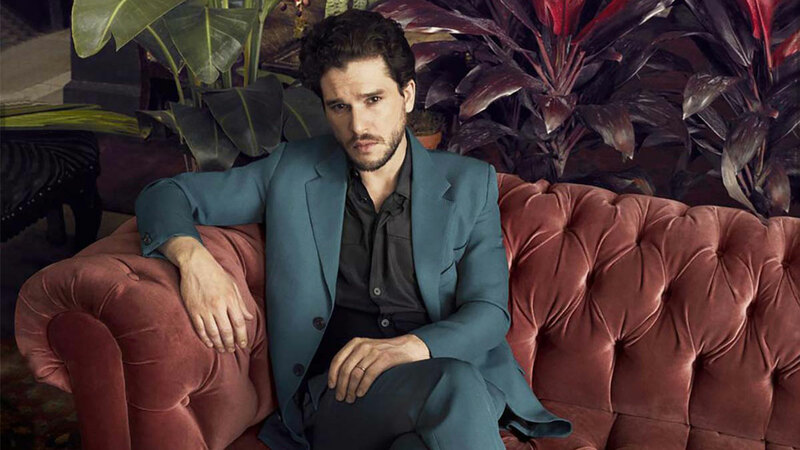 Married to Asuncion de la Rama, he died in a plane crash in Mindanao on May 18, 1947. 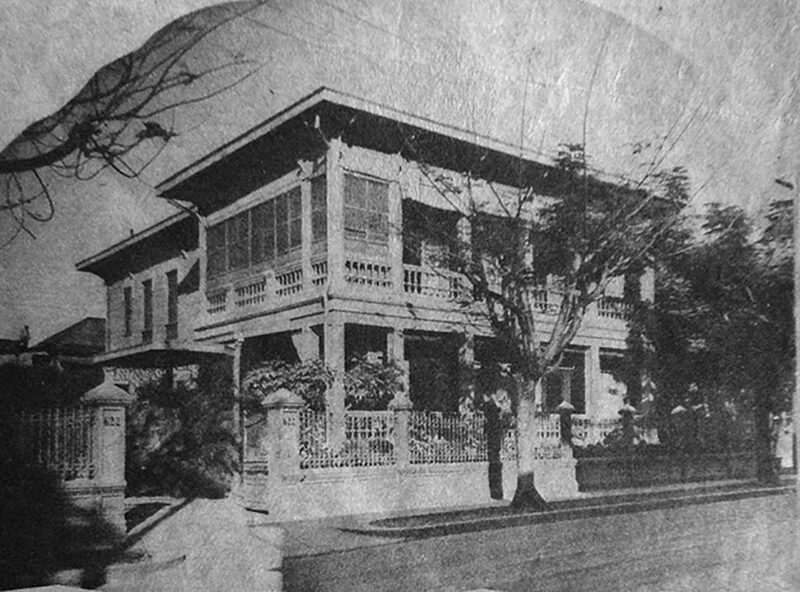 The residence of the Roxas-Brias family stood on 1103 Herran Street whose entrance faced Colorado Street (now Felipe Agoncillo Street). It had impressive windows with decorative grill works, porches, and verandas, and a well-tended garden that bloomed all year-round. 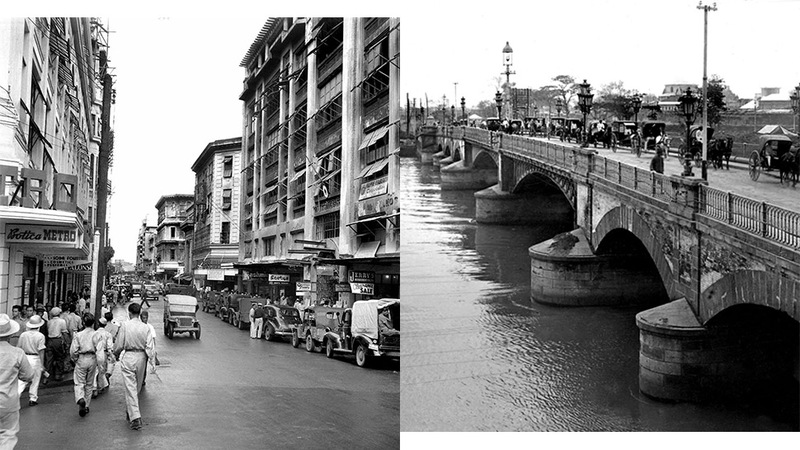 The Brias and Roxas families were of Spanish stock and were successful business magnates who founded and ran several large stores in Manila like Alfredo Roensch & Co. (a military supplies store) and the Brias Roxas Department Store in Escolta, which Enrique managed. 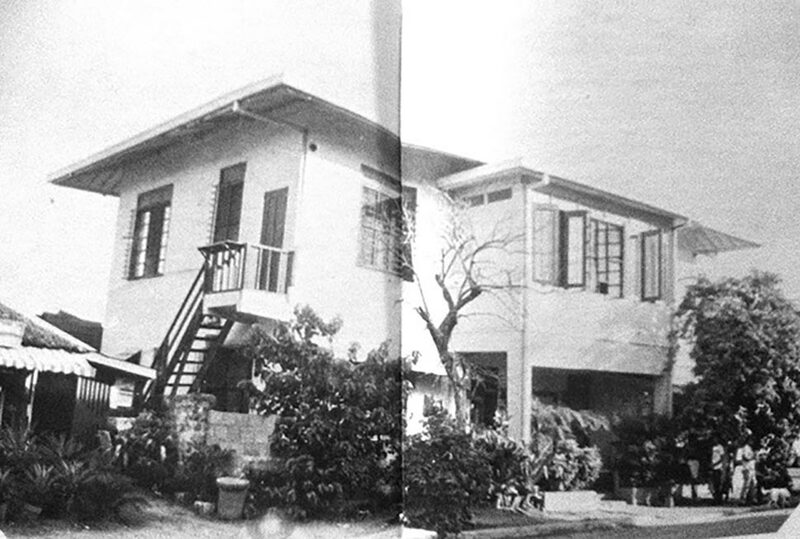 The first 1908 Manila Carnival Queen, Pura Villanueva, settled in Malate with husband Teodoro Kalaw, and amassed a fortune in real estate, building homes in the family compound like this one, a concrete three-bedroom rental house facing Remedios and Florida Streets (now Maria Orosa Street), within walking distance of schools and government offices. 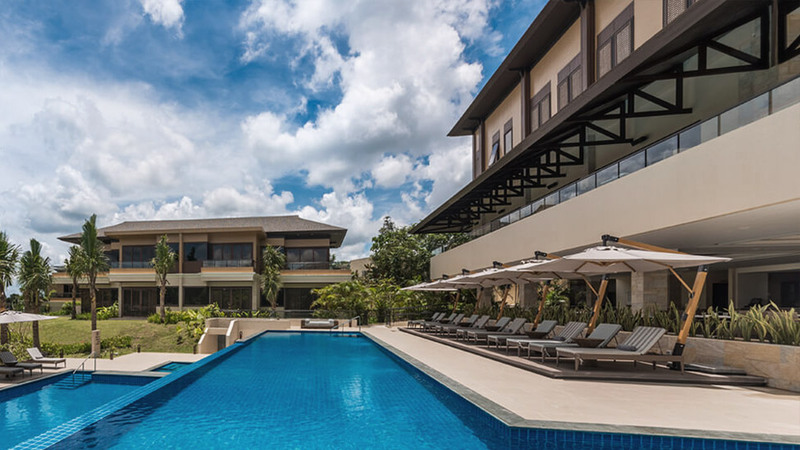 Kalaw eventually moved their Paco family residence to San Andres. The oldest Marian image in the Philippines is that of Nuestra Señora de Guia (Our Lady of Guidance). 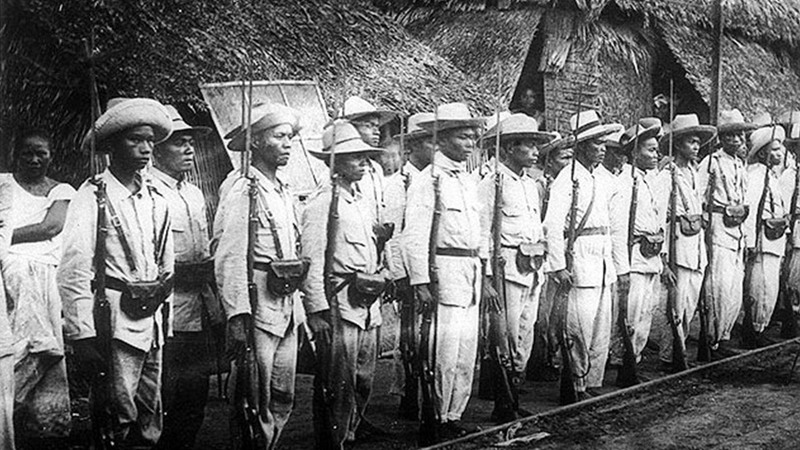 A Spanish soldier of Miguel Lopez de Legazpi found it atop a pandan bush while wading back to his boat. The 50 cm image was painted on with attire that looked a sarong, with hands in a prayer position that indicated her Asian origin. A chapel was built on the site where the icon was found. 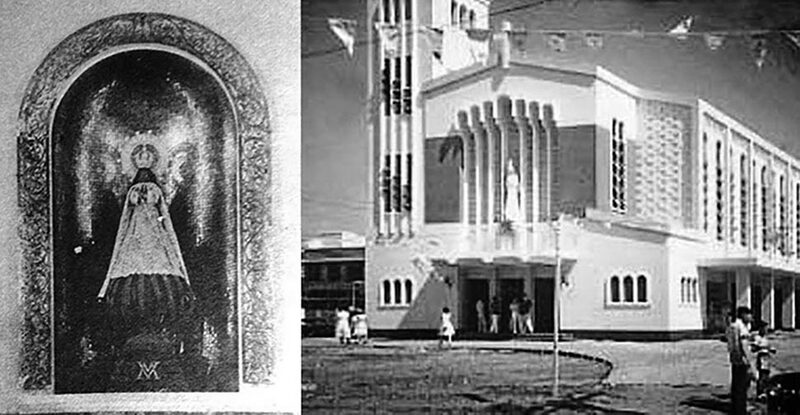 In 1953, a new and modern Ermita Church opened along Fray Antonio Flores Street, which is one of the most important Marian shrines in the city today. Along Mabini Street stands the church dedicated to Our Lady of the Holy Remedies. 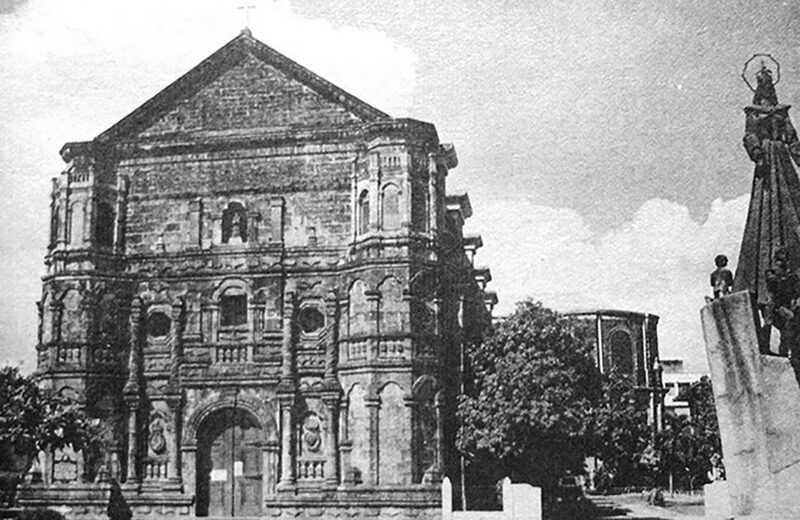 The church as we see it today was rebuilt after being destroyed by earthquakes and typhoons in 1864, led by Fr. 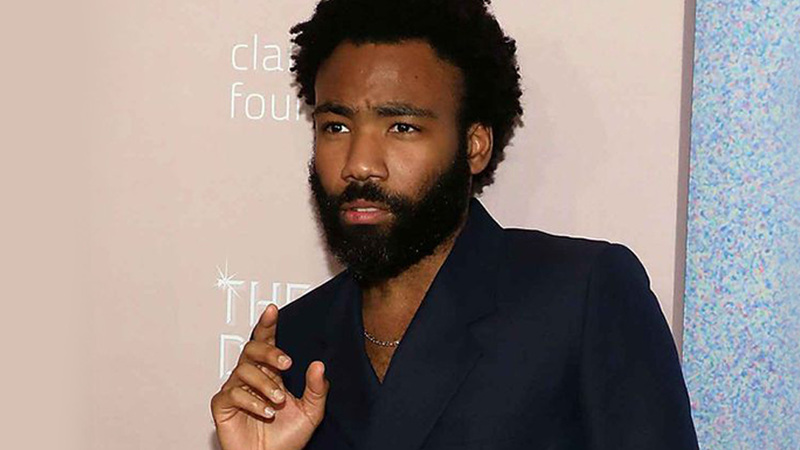 Francisco Cuadrado. Subsequent restorations were carried out after the war, in 1950 (dome, main altar, and transept) and in 1978. The three-storey façade blends Muslim and Baroque architectural styles. The image of Nuestra Señora de los Remedios from the Spanish times is enshrined on the main altar. Cathedral of St. Mary and St. John (ca. 1920s) at Calle Isaac Peral (now U.N. Avenue). The original Anglican Church was established in 1905 by Bishop Charles Henry Brent, from the then Protestant Episcopal Church of the U.S. Meant for Americans and Europeans living in Manila, the church, built through donations amounting to U.S. $120,000, was constructed on Isaac Peral Street and finished in 1907. 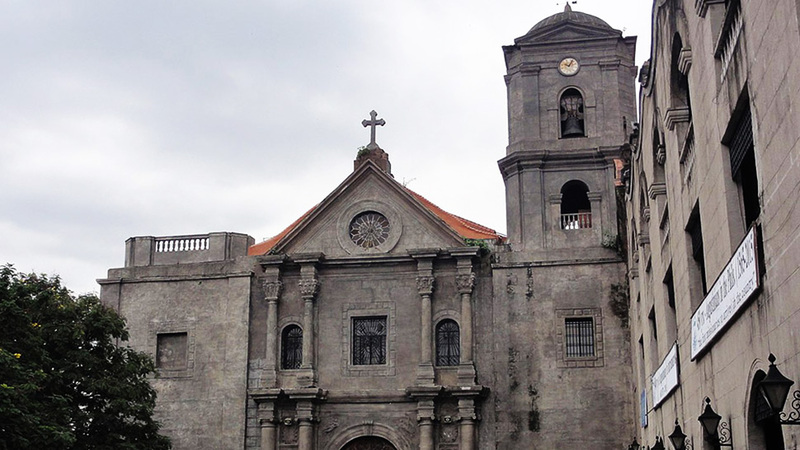 The Japanese occupied the magnificent church in 1944 and used it as an internment camp until it was destroyed in the liberation of Manila. A new Cathedral of St. Mary and St. John was erected in Quezon City in 1962. 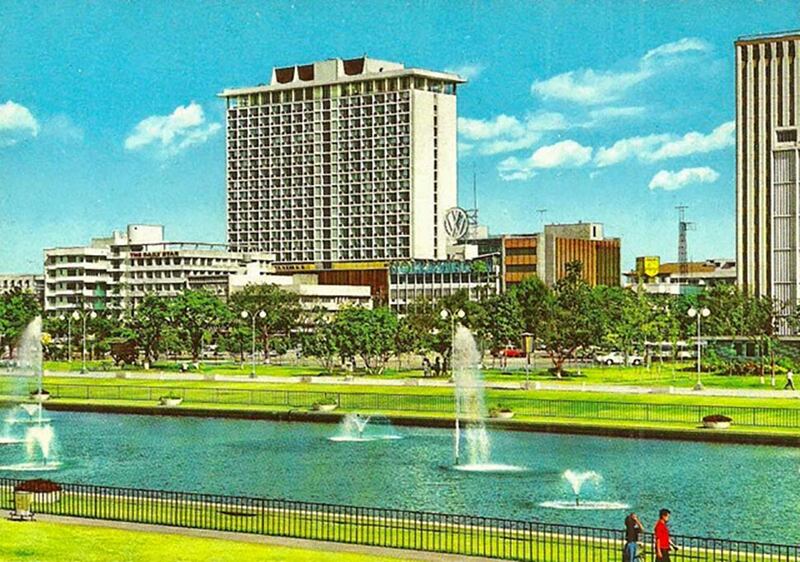 Meanwhile, the Manila Hilton Hotel was built on the old site of the cathedral in 1967. 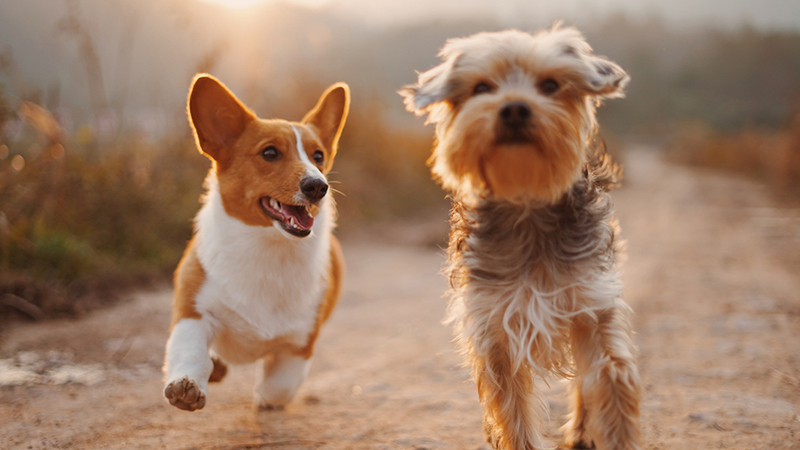 This multi-purpose Catholic center established in 1965 had men's and ladies’ dormitories, a gym, sports facilities, function rooms, and social halls for retreats, weddings and other events, and the St. Mary Gorretti Church. 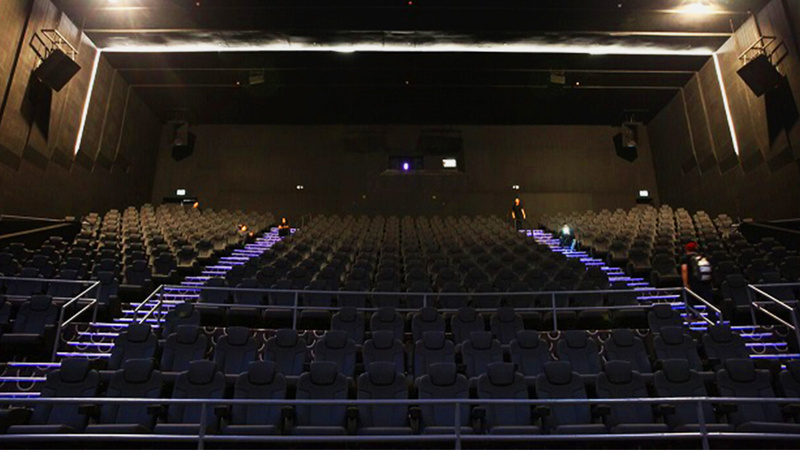 The center was conceived by Arch. Gabriel Reyes but after his passing, his successor, Rufino Cardinal Santos, saw his dream to fruition. 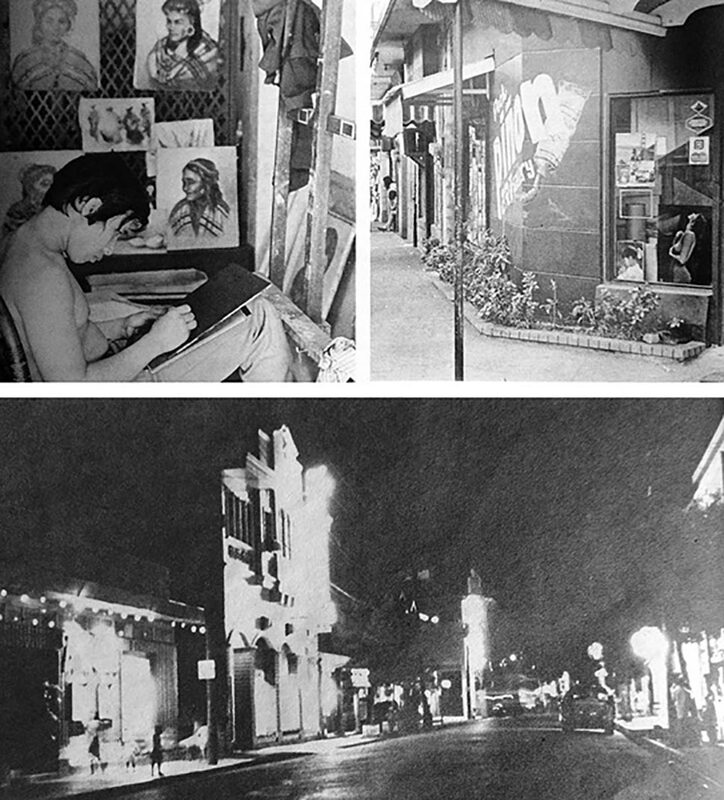 As early as the 1930s, Mabini Street was a tourist belt haven, dotted with souvenir shops like The Little Home Shop and Philippine Shell-Craft Corp. Artists started flocking to the area in the '50s when Filipiniana-themed paintings became bestsellers among tourists, painted by the likes of Ben Alano, Gabriel Custodio, Elias Laxa, Oscar Navarro, and Romeo Enriquez. 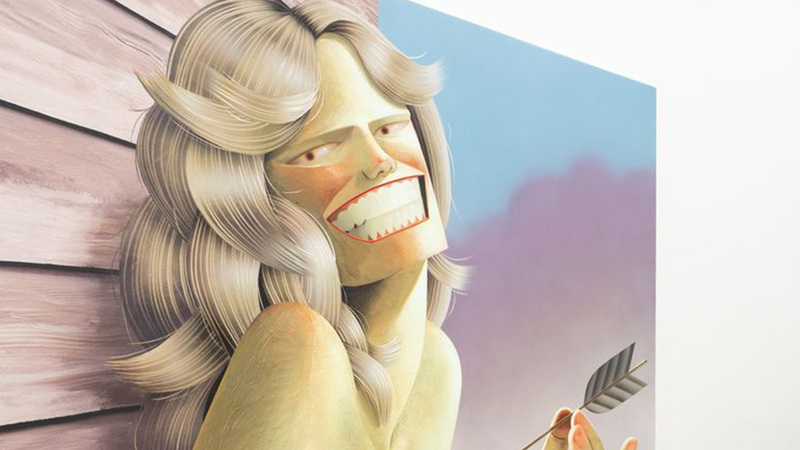 Art studios, craft, and antique shops contributed to creating a Bohemian atmosphere, until girlie bars, massage parlors, brothels, and sleazy entertainment took over in the '70s. 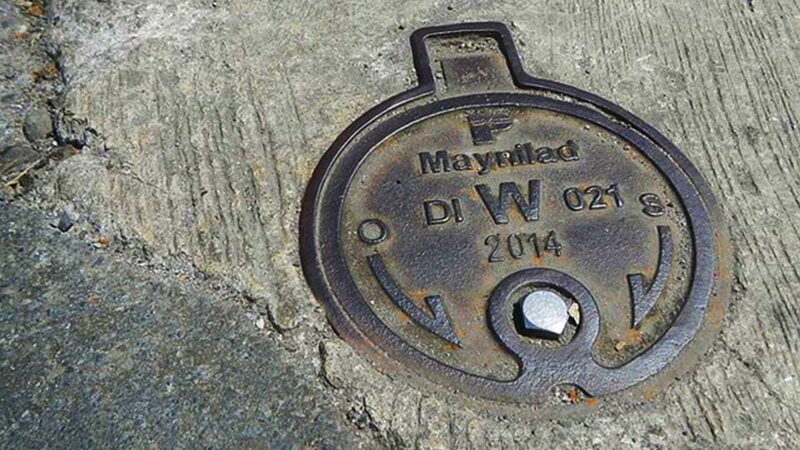 Mabini thus earned a new reputation as Manila’s red light district, an image it has since found hard to shake off. 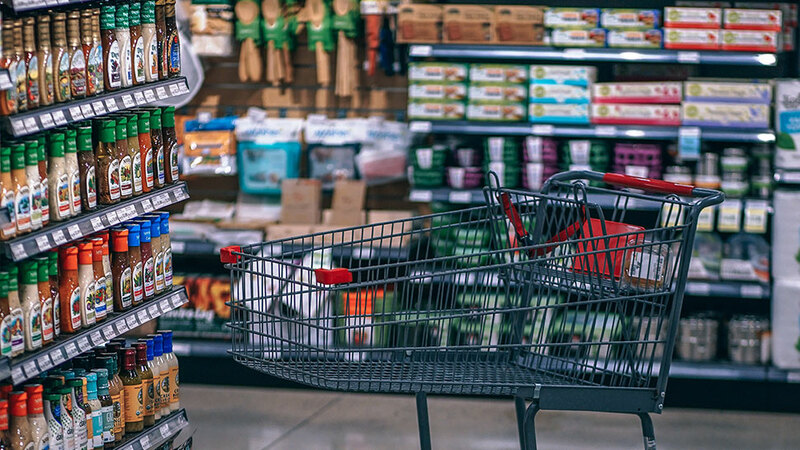 Acme Supermarket was an American-style grocery that was put up in 1954 to answer the needs of consumers—Filipinos and Americans alike—for imported items like canned goods, chocolates, comic books, and bubble gum. Located on 135 P. Faura, Acme boasted free parking, quality goods, courteous service, and home delivery services. It even had a diner that served burgers, sandwiches, and sodas! 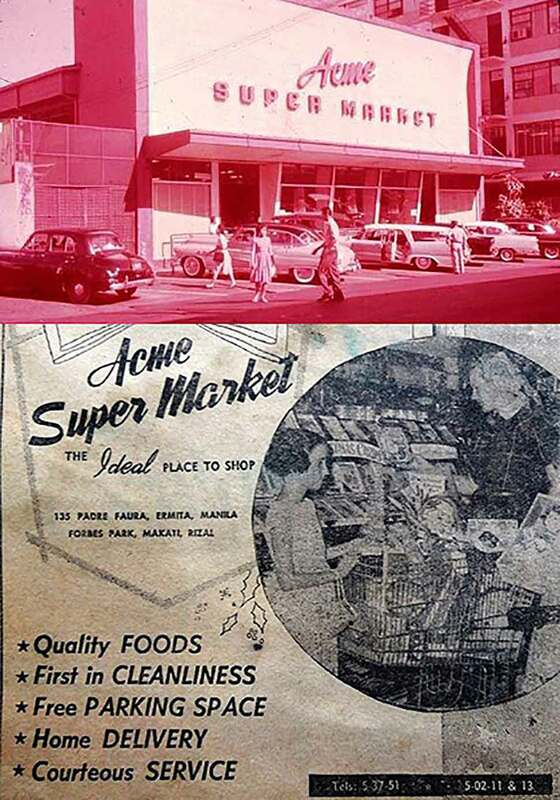 In 1955, Acme also opened a branch in the posh Forbes Park residential village. 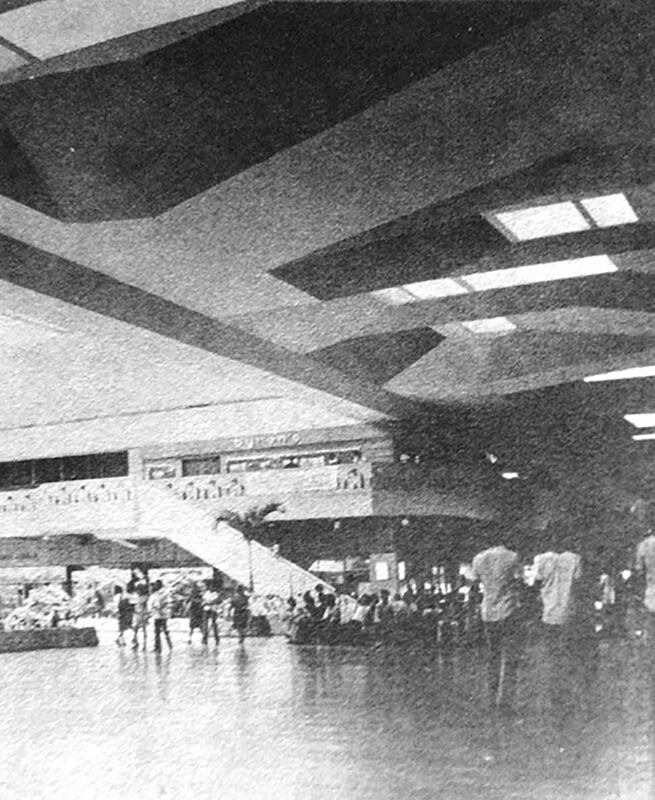 The opening of Harrison Plaza in 1976 made waves as it was among the first true modern malls in the country. 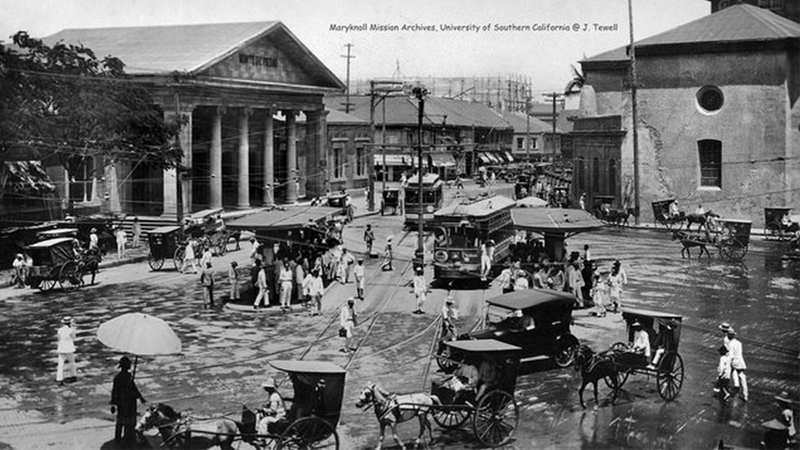 The air-conditioned shopping complex was erected on what was once Harrison Park, which in turn was a former colonial burial ground. 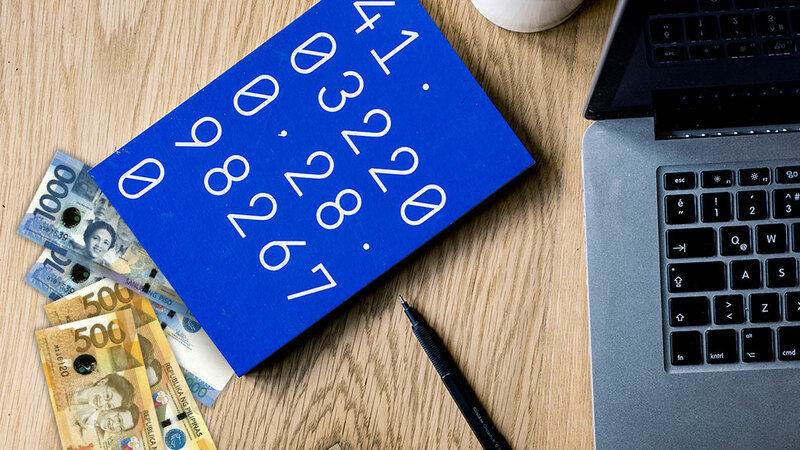 At its peak, Harrison Plaza was a boon to residents of Malate and nearby Pasay, well-located along Harrison Road, and close to Roxas Boulevard, Manila Zoo, and Rizal Stadium. It had all the latest shops, a children’s amusement section, and a fountain area. The mall, however, fell into disuse and closed in early 1980, only to reopen in 1984. By then SM and Rustan’s had also settled into the complex and a hotel and a jai alai fronton sprouted on the mall grounds in the '90s. Again, Harrison Plaza fell into a state of stagnation, even as its environs became squalid, dirty, and unsafe. In 2016, SM Prime Holdings reportedly wanted to invest about P40 billion to revitalize the mall complex that had seen better days. 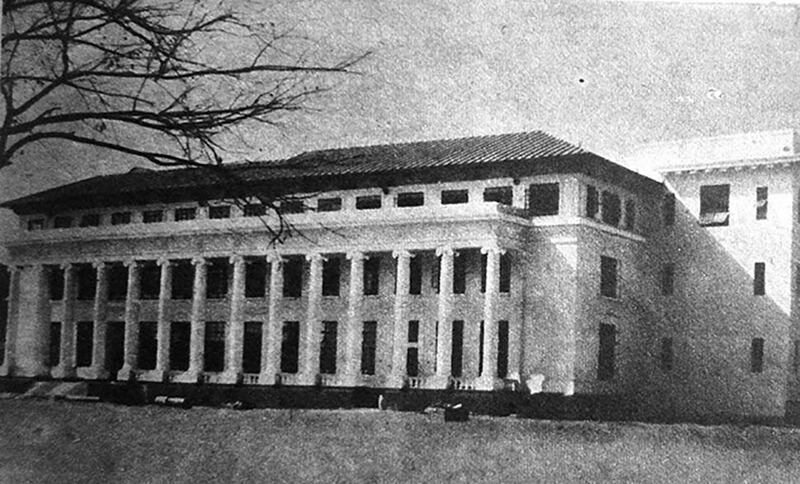 Rizal Hall was one of the original buildings of the University of the Philippines in Manila. It housed the College of Arts and Sciences. The structure is marked by its distinctive columns and Neoclassic architectural style. Heavily damaged by the war, Rizal Hall was restored to its pre-war condition at a cost of P750,000. The Redemptorists are credited with setting up the parochial school of Malate in 1917, under director Fr. Terence Brown and principal Mother Alix, a Belgian nun. The school was converted into a hospital during the war and was managed by the American Red Cross as Remedios Hospital. The war-ravaged campus re-opened its Grade School in 1946. In 1957, the management of Malate Catholic School was turned over to the Columban sisters, until 1990 when the Congregation of the Religious of the Virgin Mary took over. 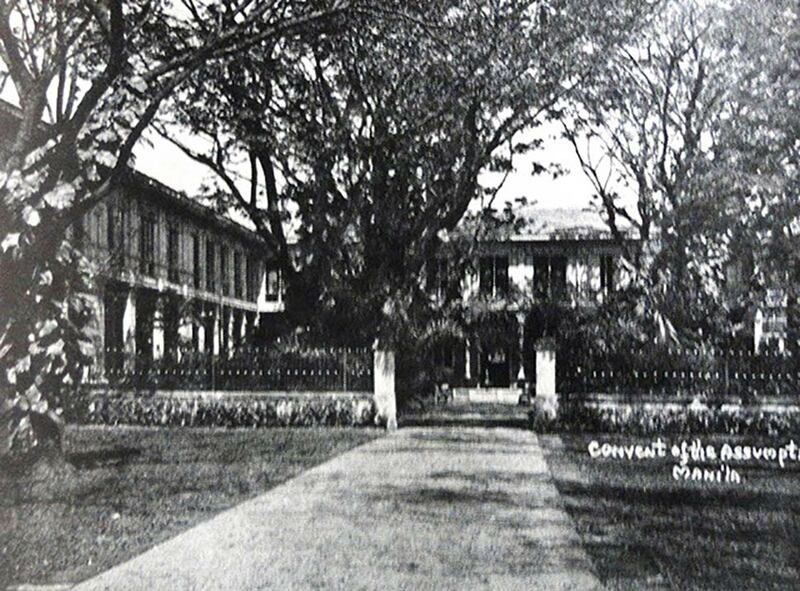 Before the Assumption College in San Lorenzo, Makati, there was the Convent of Assumption in Herran which was founded as a Normal School in 1892 by the Congregation of the Religious of the Assumption. It became a boarding school the following year until the Revolution forced its closure. 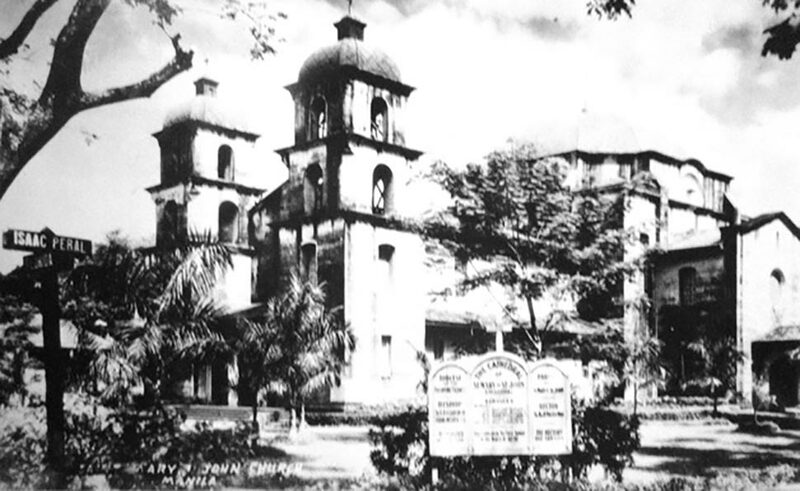 In 1904, the Assumption sisters returned to re-establish the school, and by 1940, had elementary, high school, and college departments that found favor among Manila’s elite. 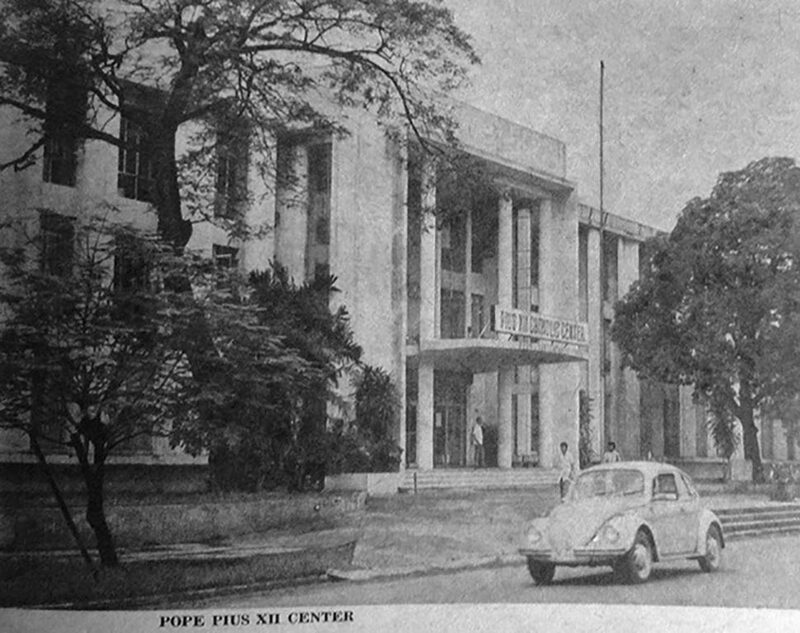 The campus was totally destroyed in the battle of Manila in 1945, but was rebuilt and relaunched in 1948. 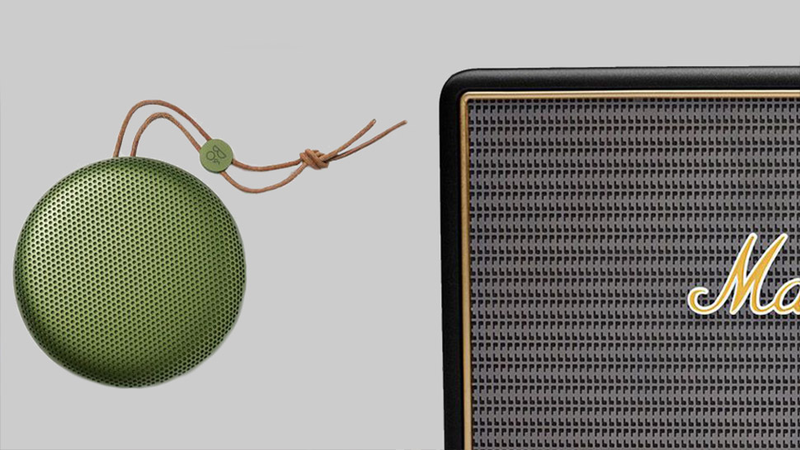 By the early '70s, the area had become highly commercialized, hardly conducive to learning. 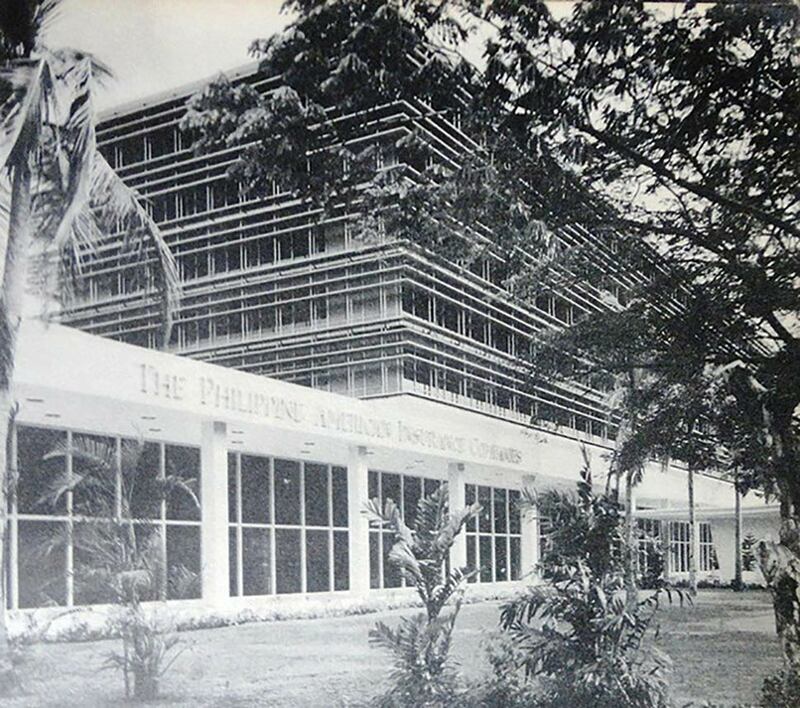 The property was sold and Assumption was transferred to the Makati campus in 1972. The school that was planned to be a Manila novitiate of the Sisters of St. Paul de Chartres ended up becoming a kindergarten class known as St. Paul’s Institute in 1912. The high school and college departments opened in 1924 and 1940, respectively, and was renamed St. Paul’s College. The all-women’s college was known for its excellent Conservatory of Music courses. 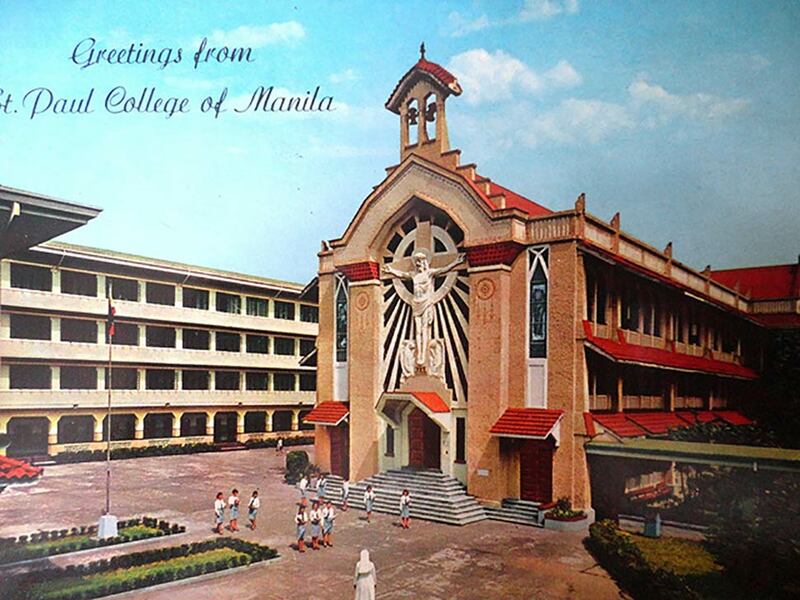 Like most schools in the Malate district, the college was damaged by the war, but resumed operations in November 1945. 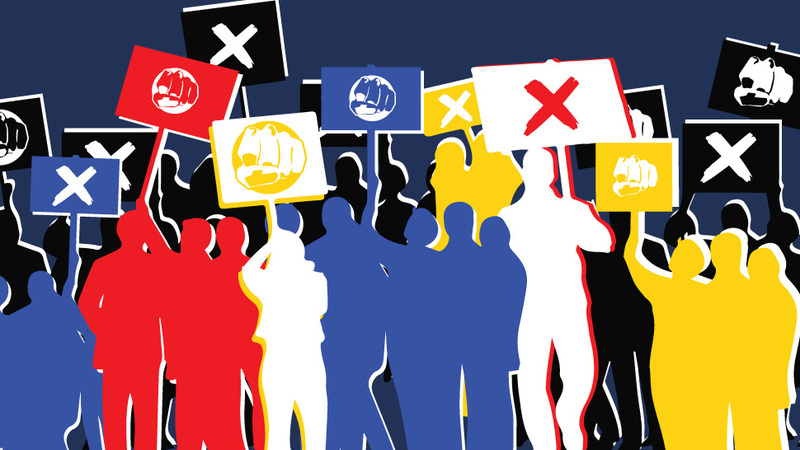 In 2004, the school became St. Paul University Manila, and went co-educational the following year. 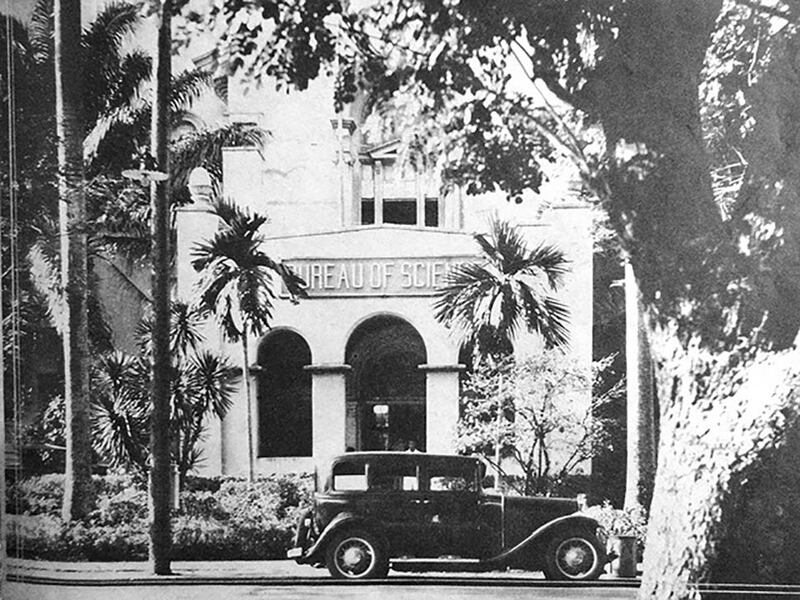 The Bureau of Science was formerly known as the Bureau of Government Laboratories when the latter moved to Manila in 1905. It was a part of the scientific and modernization project instituted during American colonial times. The beautifully designed science building housed valuable natural history collections, including an impressive herbarium, a zoological collection of birds, insects, mammals, fishes, and reptiles from around the world, and an extensive library for scientific research and study. The Bureau of Science was totally destroyed and its collections permanently lost in 1945. Located in Manila’s arts district, the Philippine American Insurance Co. building is a massive structure of symmetry, dominated by strong horizontal lines of aluminum and sun baffles. Florida Street (now Maria Orosa Street) features a canopied walk that has become one of the building’s signature features. The Philamlife Building was designed by Arch. Carlos Arguelles. 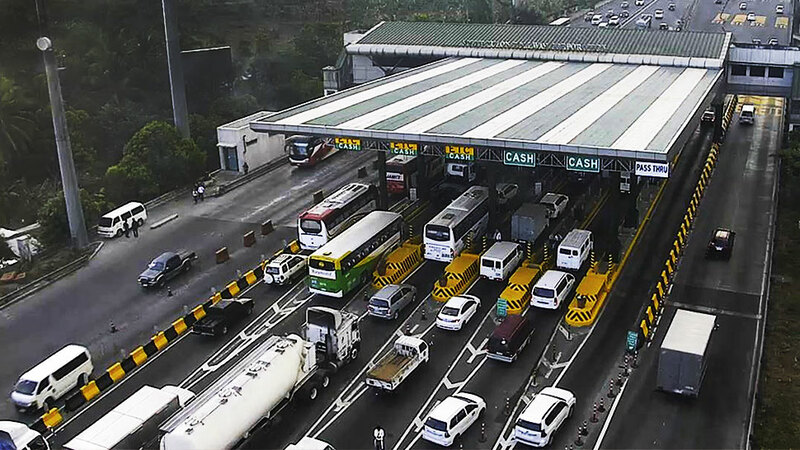 Caltex became one of the leading multinational oil and fuel companies when it built the country’s first petroleum refinery in San Pascual, Batangas, which was inaugurated in 1954. 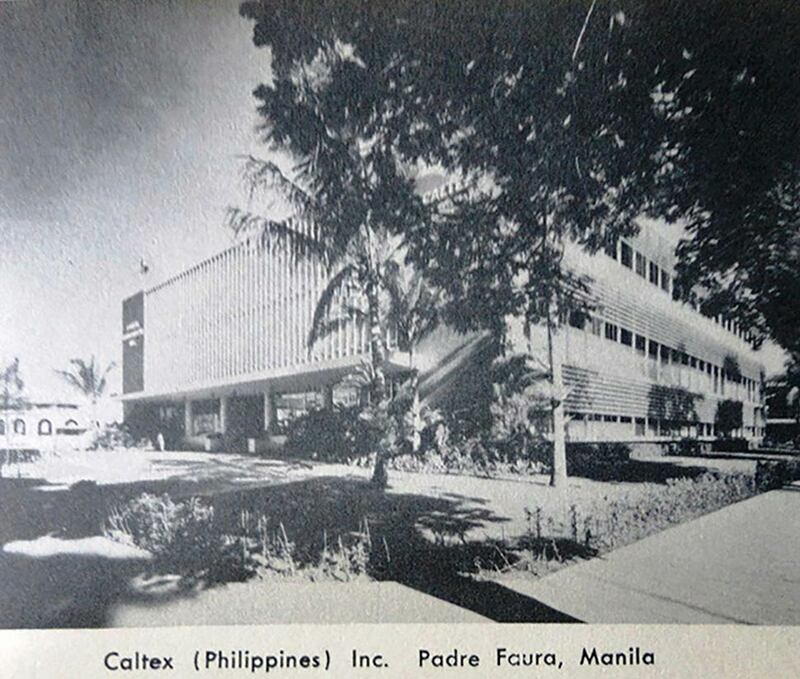 In 1956, Caltex moved its main offices into its spanking new, fully-air conditioned building on Padre Faura Street in Ermita, which became a city landmark with its simple but clean linear look, featuring both vertical and horizontal lines on its façade. The Caltex headquarters is now located along Ayala Avenue in Makati. The historic Luneta Hotel, built in 1919, was a fine example of the French Renaissance style of architecture. 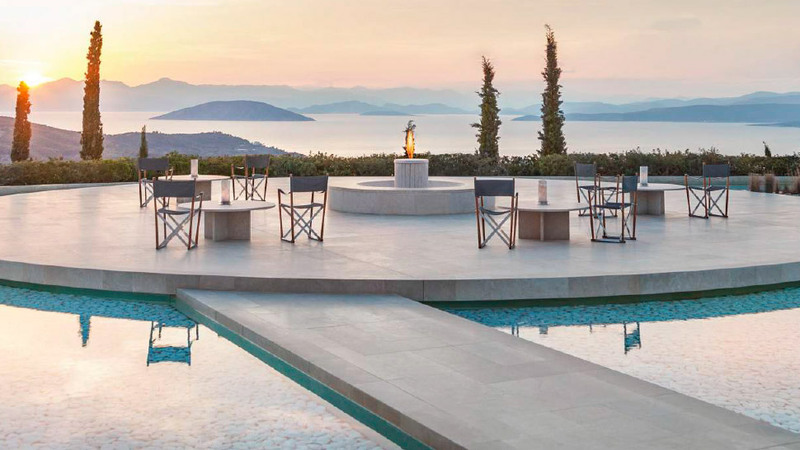 It acquired a reputation for its exceptional cuisine and unusually cool rooms. Nearby University Building, which was operated by Luneta Hotel, had 44 rooms with bath and electric refrigeration for transient guests and long-term residents. 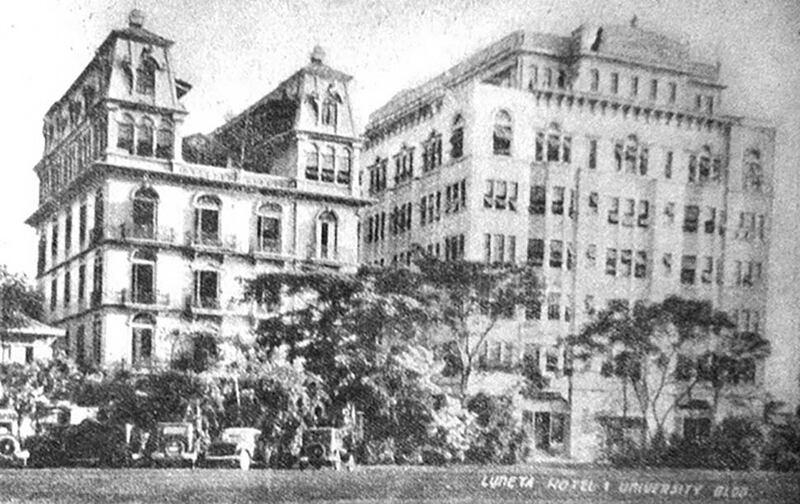 Both Luneta Hotel and the University Building were less than a block from Dewey Boulevard, and a block away from the Army & Navy and the Elk’s Club. 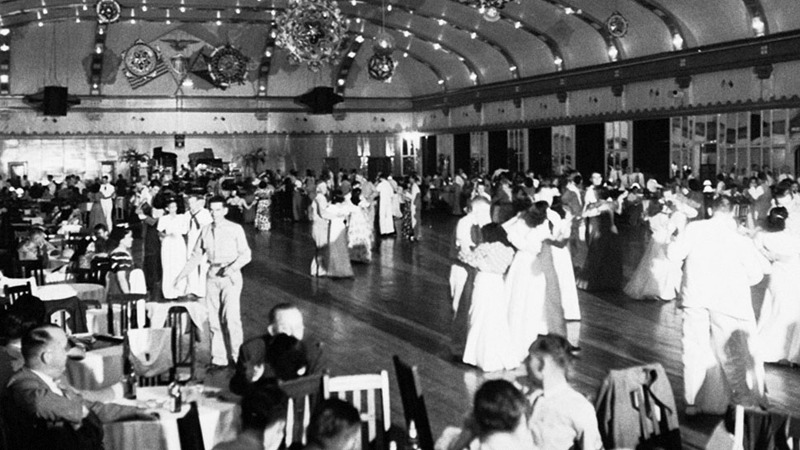 Luneta Hotel survived the war, but was abandoned in 1984. 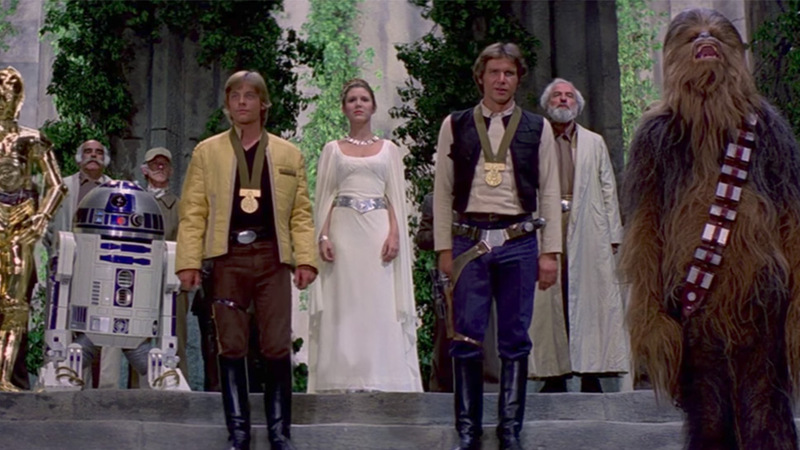 It was restored and became fully operational in 2014. The University Building was resurrected as Shelbourne Arms, and then the Hotel Otani, only to be demolished in the 1990s. Ambassador Apartments, along with the Dewey Arms Apartments, were pre-war serviced budget apartments managed by Kneedler Realty. It was built on American-owned property along M.H. del Pilar corner Pasaje Del Carmen. Dr. Harry Dohme Kneedler, who ran the realty business, also built the Bayview Hotel along Dewey Boulevard. 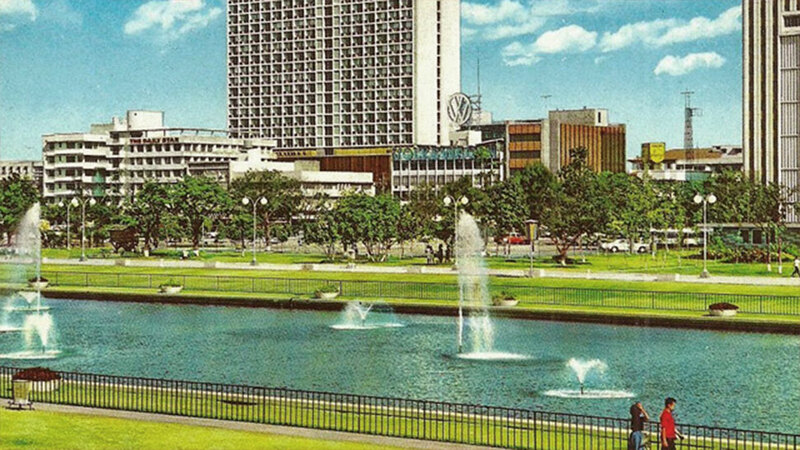 The Manila Hilton opened in 1967. 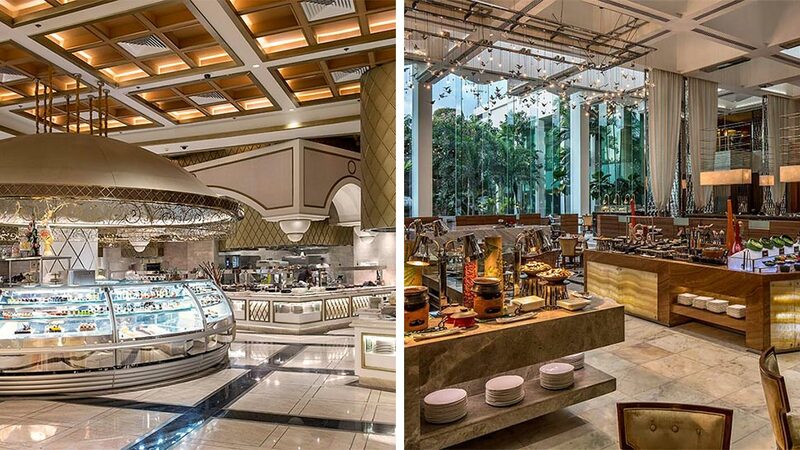 Along with Hotel Intercontinental and the Philippine Plaza (now Sofitel Philippine Plaza Manila), it was one of the top venue choices of Manila’s crème de la crème for their social bashes. 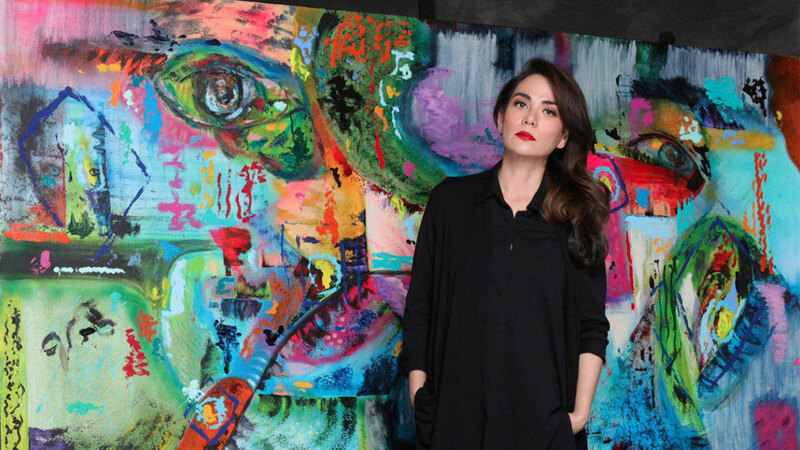 After all, the luxurious Manila Hilton, designed by Carlos Arguelles and Welton Becket, was a showcase of contemporary design, adorned with the works of acclaimed sculptors like Ed Castrillo and Napoleon Abueva, as well as painters Botong Francisco and Federico Alcuaz. 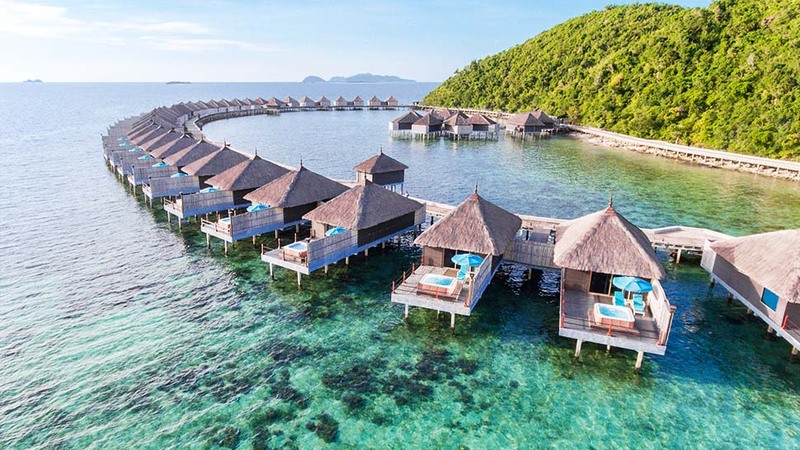 Today, no longer a Hilton hotel, the renovated party hotel of the '70s has been relaunched as the Waterfront Pavilion Hotel and Casino Manila. Many kiosks and eateries sprouted all over Malate to cater to the growing student population in the area. 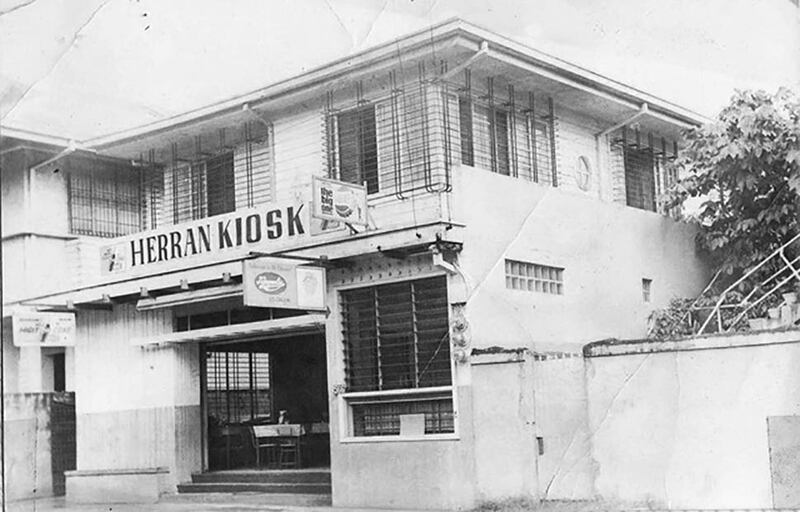 One such snack place was Herran Kiosk along Pedro Gil, fronting Manila Midtown Hotel, where Robinsons Manila now stands. The owners of Herran Kiosk just lived right above the shop which served Magnolia ice cream, sandwiches, and sodas. It was also a sari-sari store of some sort, with a smattering of school supplies, candies, cookies, and cigarettes. It was gutted by fire in the 1970s. Just meters away from the Taft Avenue-Vito Cruz intersection lies the country’s premier sports arena—the Rizal Memorial Stadium. Finished in 1934, the Art Deco building, designed by Arch. Juan M. Arellano, was built on land donated by the Vito Cruz family, whose patriarch, Hermogenes Vito Cruz, served as Pasay mayor from 1870 to 1871. 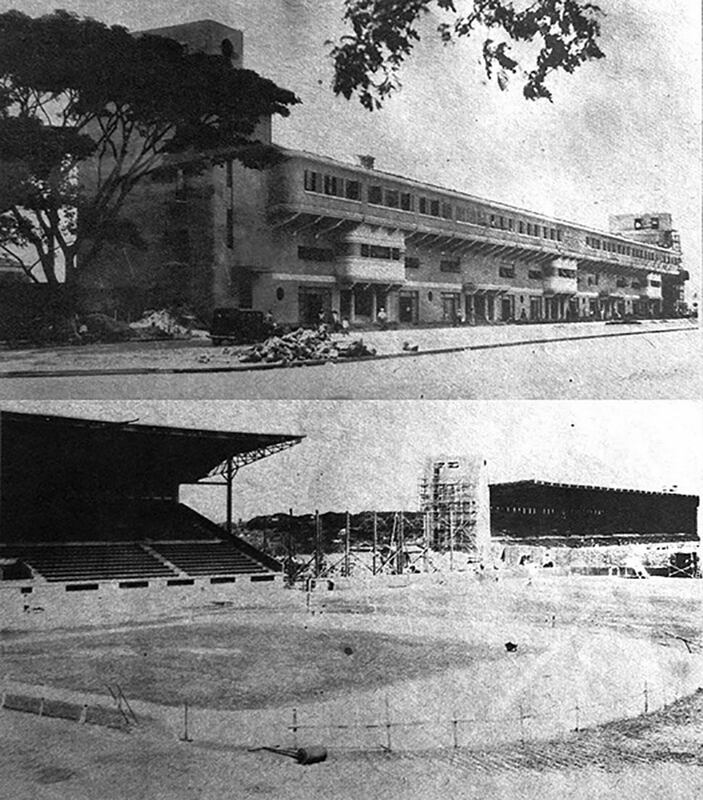 Part of a sports complex, the stadium was opened in time for the 1934 Far East Games which the Philippines hosted. 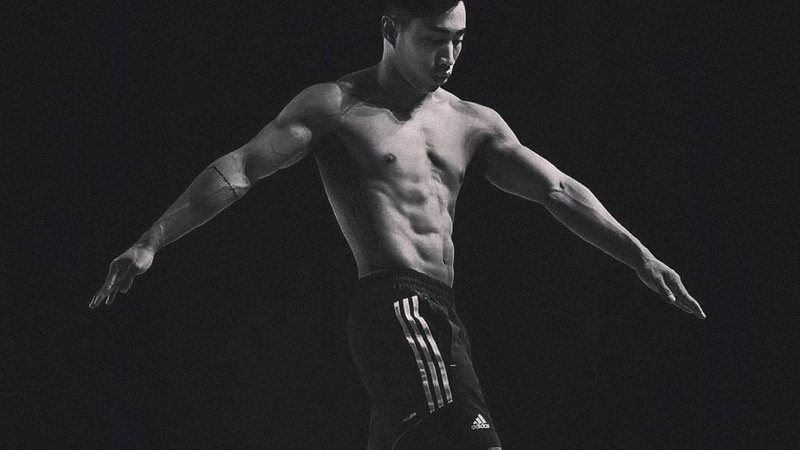 Since then, it has served as the venue for many significant sporting and entertainment events—from the Asian Games (1954), AFC Youth Championship (1966, 1970), SEA Games (1981, 1991, 2005), AFF Suzuki Cup (2012, 2014, 2016) to the infamous, sold-out Beatles Concert in 1966. The stadium is also the official home of the Philippine national football team, the Azkals. 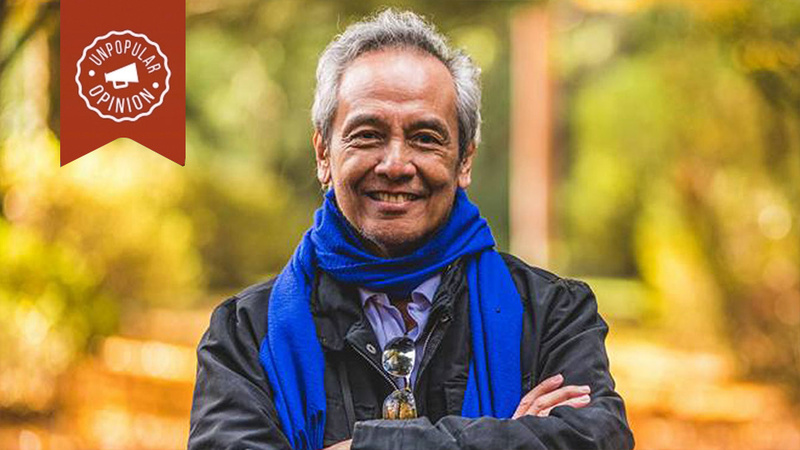 In 2016, business tycoon Enrique Razon sought to redevelop the area into a modern commercial complex, but an online petition junked this plan. In April 2017, the Rizal Memorial Sports Complex was declared a National Historical Landmark and an Important Cultural Property. The hippest place to party the night away was the legendary Coco Banana, a "disco" club that was the brainchild of the designer Ernest Santiago, a.k.a. Santiago de Manila. The club was actually a 1950s house along Remedios Street that Santiago transformed into an outrageous center of Bohemian decadence, frequented by models, gigolos, artists, and socialite matrons. 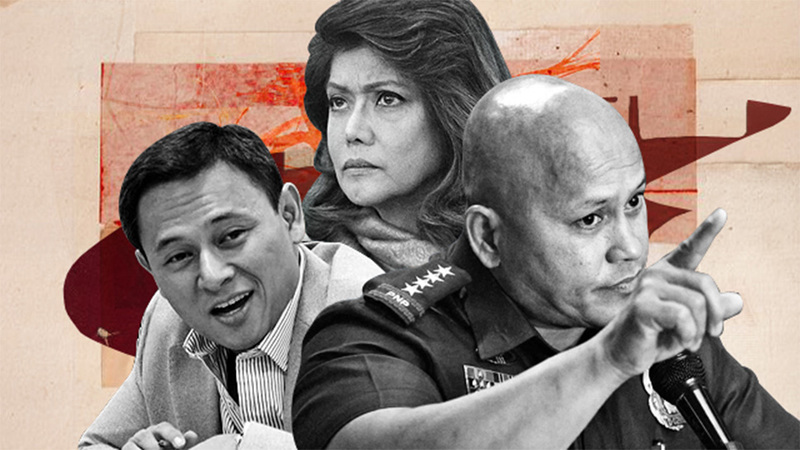 It opened on June 12, 1977, five years into Martial Law, yet even presidential daughter Imee Marcos would drop by. 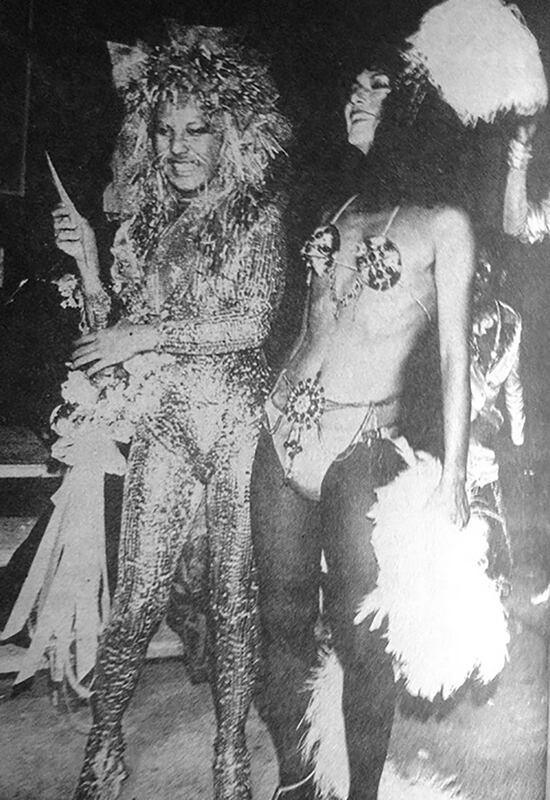 Famed for its themed costume balls, campy fashion shows, and female impersonators, Coco Banana became passé when discos waned in the late '80s. Coco Banana closed in the 1990s, while Santiago passed away in 2007.